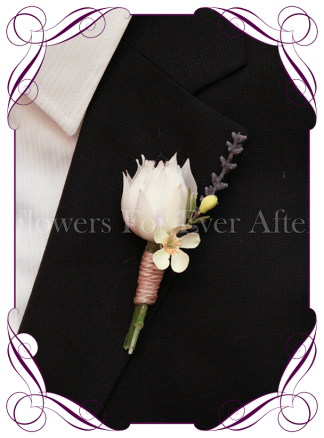 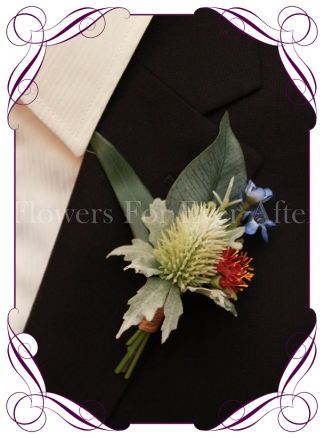 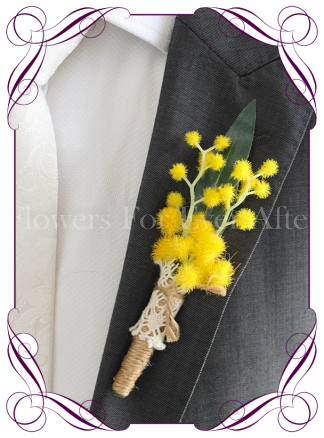 The perfect rustic deep tone gents button made to match our Belinda bouquet design. 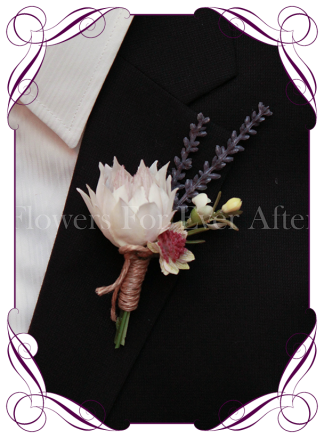 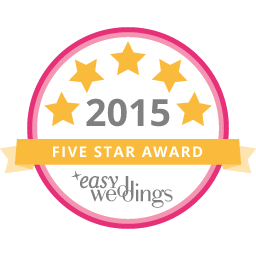 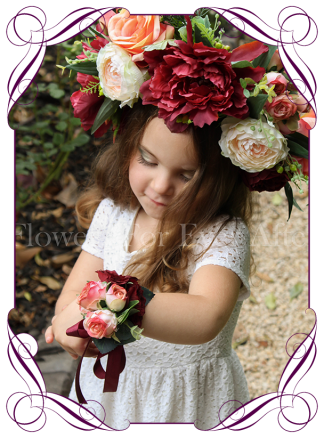 Featuring blush pink blushing bride protea, lavender buds, and Geralton wax flower accents.. 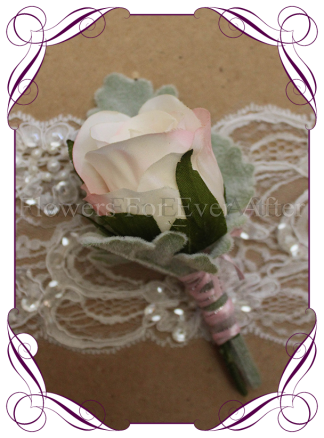 The stem is partially wrapped in twine.